Shopping for holiday gifts for your clan can be stressful, so you might as well enjoy yourself while hiking up that credit card balance. 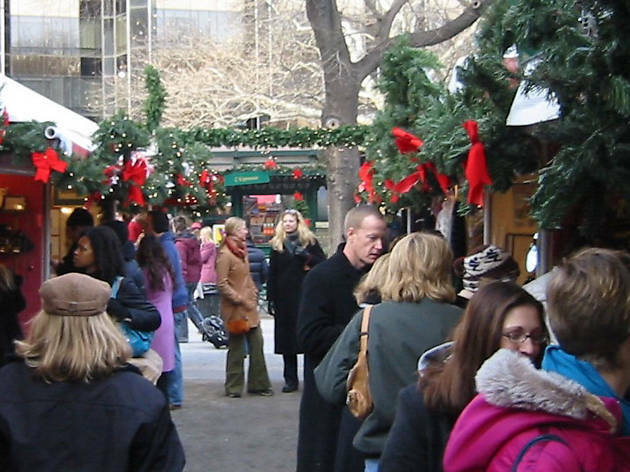 And you will, as long as you nab presents at the best holiday markets in NYC. 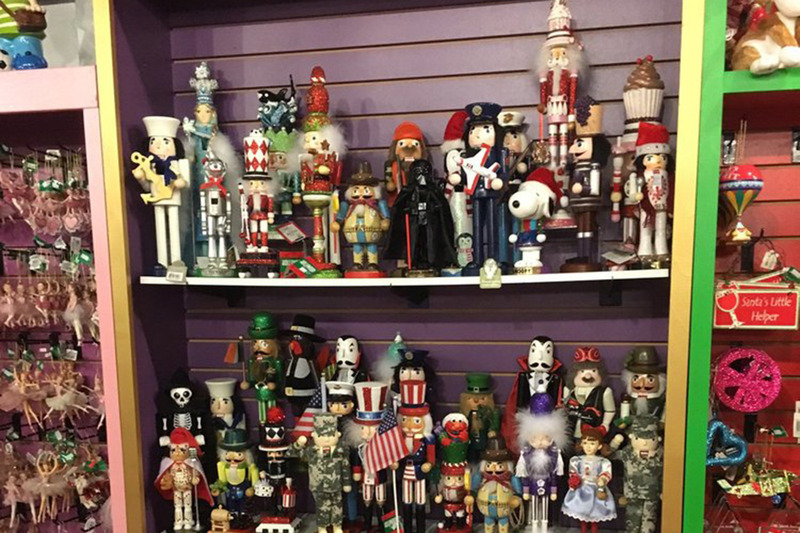 Crowded department stores may have fancy Christmas window displays to entice you, but the these winter bazaars offer many perks such as free-admission ice-skating, mouthwatering treats for purchase, Christmas tree lightings and more in addition to one-of-a-kind gifts for your loved ones. Just before Halloween weekend, The Winter Village at Bryant Park debuted a new rinkside pop-up eatery and drinkery called The Lodge which sells grub and drinks from 12 restaurants. Go for the: Cozy après skate-style ambiance while you munch on wholesome eats by Pierogi Boys followed by dessert from the S’Mores Bar by Squish. Stay for the: Army of shopping vendors (there are more than 170!) 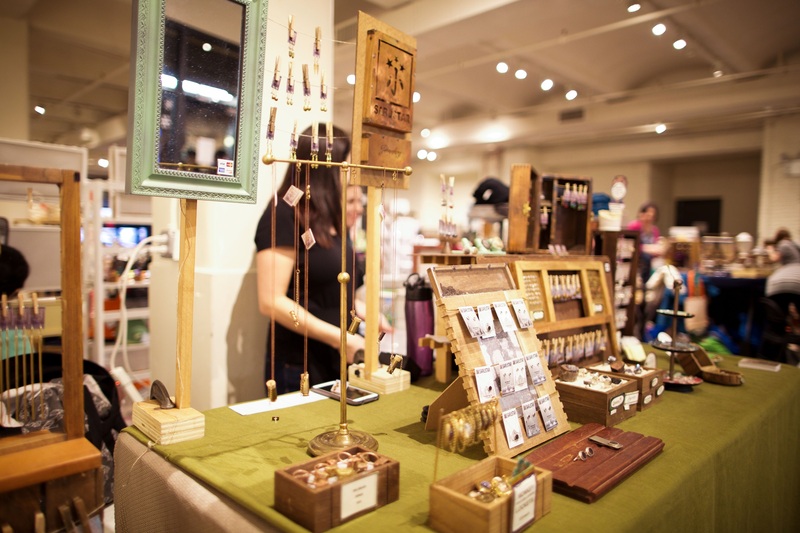 to snag handmade, unique and New York City-specific gifts for your family and friends. 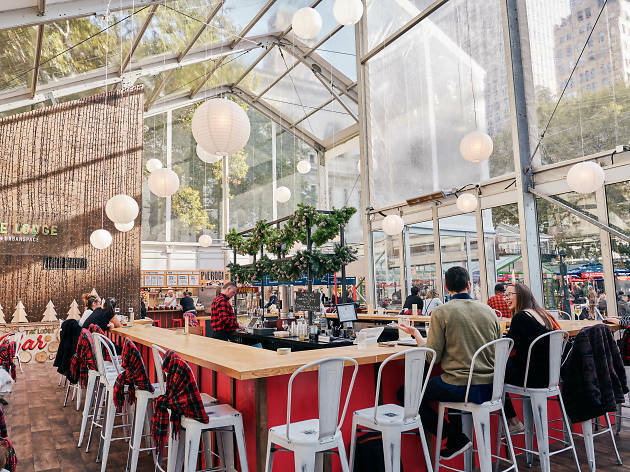 Starting in mid-December, The Rooftop at Pier 17 will have cold-weather activities galore, as well as plenty of food and drink to keep you warm. Go for: The rooftop rink that lets you take your triple axel to new heights. (Get it? It’s on the roof.) Visitors can take skating lessons, learn how to curl or play broomball and even sign up for fitness classes on the slick stuff. Stay for: The winter cocktails and bites served inside the cozy rooftop restaurants to keep you toasty as you take in the Brooklyn Bridge, Statue of Liberty and other cityscape views. Need gifts? Duck down to the vendors at Deck the Stalls! 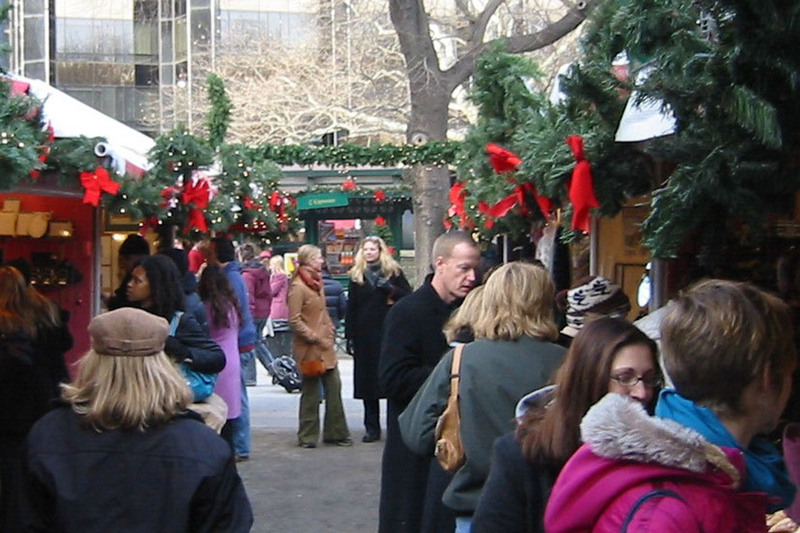 at Fulton and Water Streets during Dec 2, 9, 16 and 23 from 11am to 5pm. The market features a range of specialty foods and vendors from the city-wide Public Markets network. 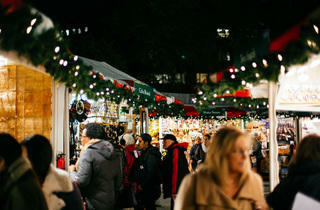 New Yorkers should get psyched for the mother lode of holiday craft fairs as it enters Manhattan on November 17 and 18. 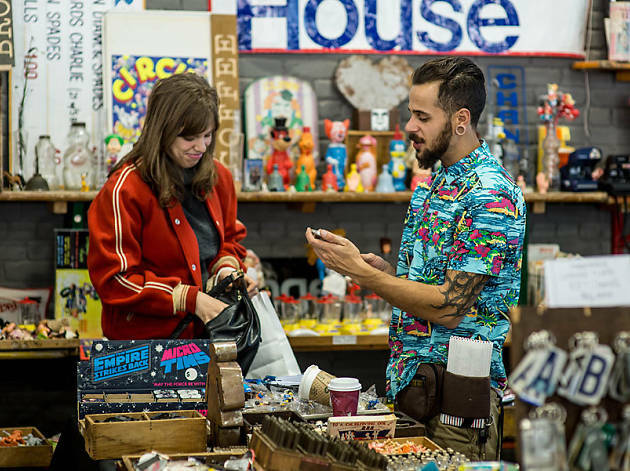 Go for the: Artists, tchotchke-making fiends and creative types who gather and display their hand-made or bespoke goods. Stay for the: Loot from over 200 vendors as well as live entertainment from DJs and DIY opportunities. The Sunnyside Shines Business Improvement District teams up with Queens International Night Market to host an alfresco shopping market including more than 30 ever-changing vendors on Saturdays and Sundays. 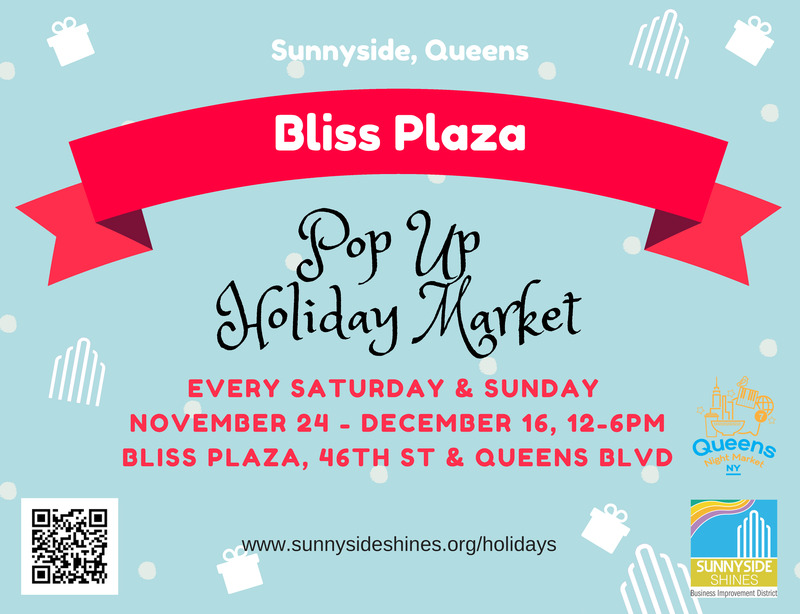 Go for: The merch from local Queens businesses including 3D printed jewels, photography, ceramics, handmade candles, gifts for foodies and parents-to-be and more. 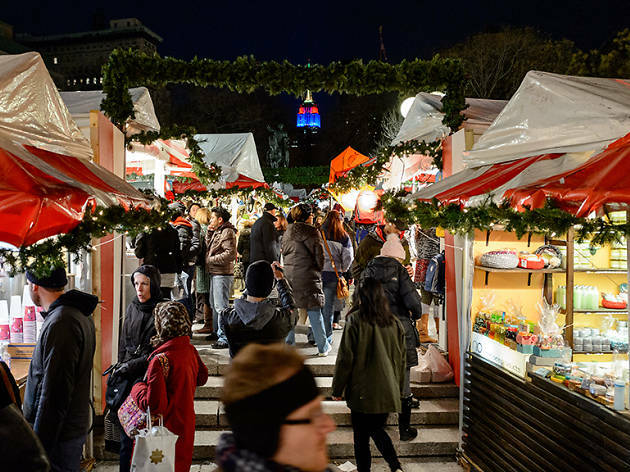 Stay for: The Hearty food vendors selling Burmese palatas, Romanian-Hungarian chimney cakes and German bratwurst. Also, when you go, you'll receive a holiday shopping "passport" containing coupons to other neighborhood businesses in the area. It's also your ticket to ride a free trolley bus on December 8 to transport folks around Sunnyside. It’s hard to imagine a more perfect excursion than going to a Christmas market in Grand Central. Go for the: Chance to gawk at the swirls of constellations on the roof inside, then check out the towering, bejeweled tree to get a new meaning of bright lights, big city. Stay for the: Chance to grab goods to throw the best Christmas party ever. Open through December 24. This diminutive converted storage space on the corner of 7th St and Ave C offers an impressive array of wares given its small footprint. 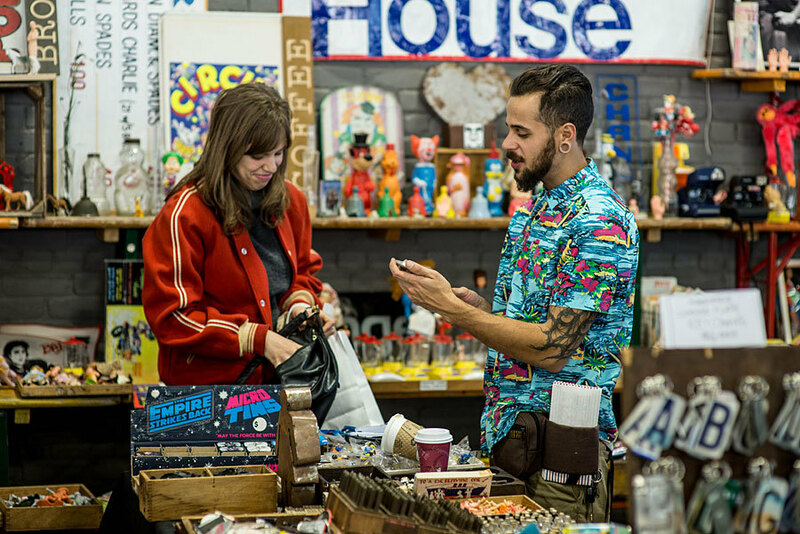 Go for the: Shop pendant lights, handmade picture frames, Black Lives Matter–themed jewelry and ornaments, original artwork and more. Stay for the: Nibbles like spiced pepitas, cookies and chocolates. If there’s one alfresco shopping event worth braving the cold for, it’s this one. 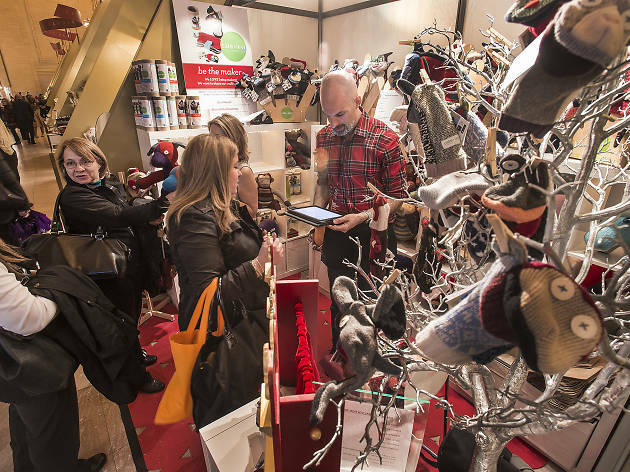 This European-style winter market boasts more than 150 local and national vendors hawking an impressive selection of handcrafted gifts, ranging from jewelry and accessories to leather goods and artwork. Go for the: Brew-your-own beer kits from the Brooklyn Brew Shop; handmade, monogrammed stuffed animals from Hazel Village; and wooden puzzles and board games from Kubiya Games. 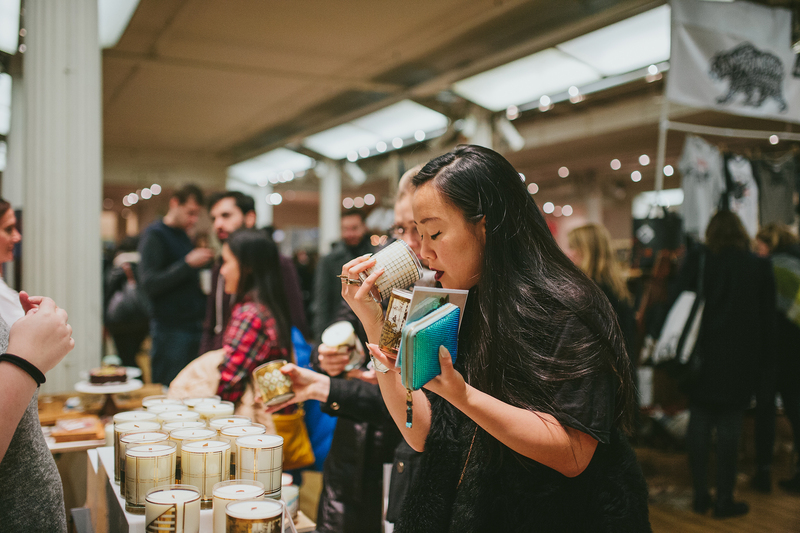 Stay for the: Food vendors like Momofuku Milk Bar, Bar Suzette, Wafels & Dinges and No Chewing Allowed!. You could easily spend a whole day here. Open November 15 through December 24. 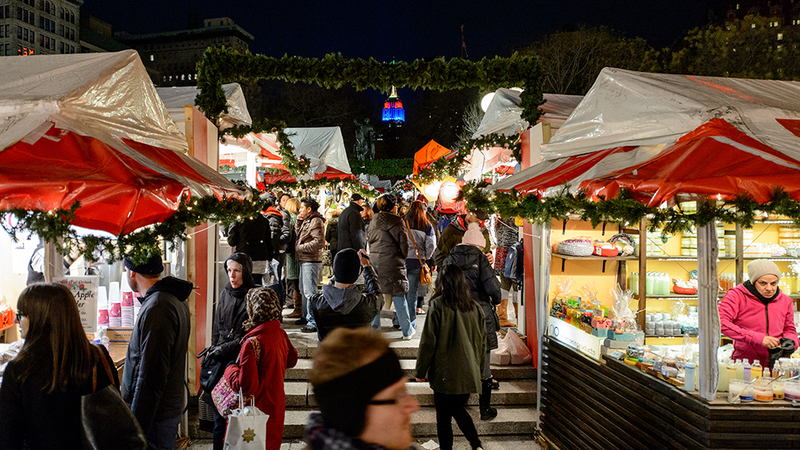 This annual holiday bazaar near Central Park is run by the people behind the Winter Village ar Bryant Park, the Union Square Holiday Market and others. 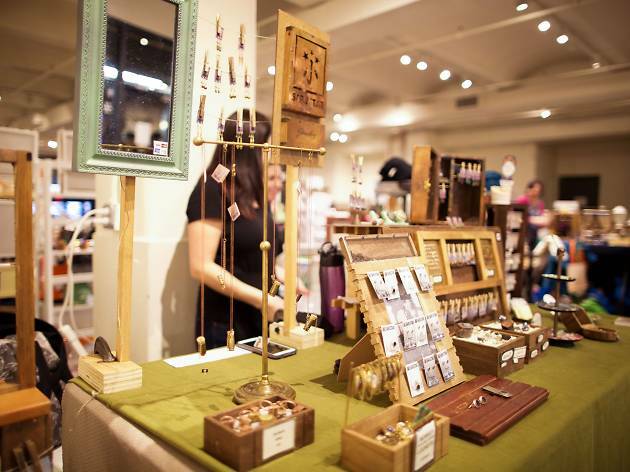 Go for the: Handmade items from local artisans and snacks from vendors such as Hill Country Barbecue and La Sonrisa Empanadas. Look for the market concierge to help you navigate your way through more than 100 booths. Nov 28–Dec 24. 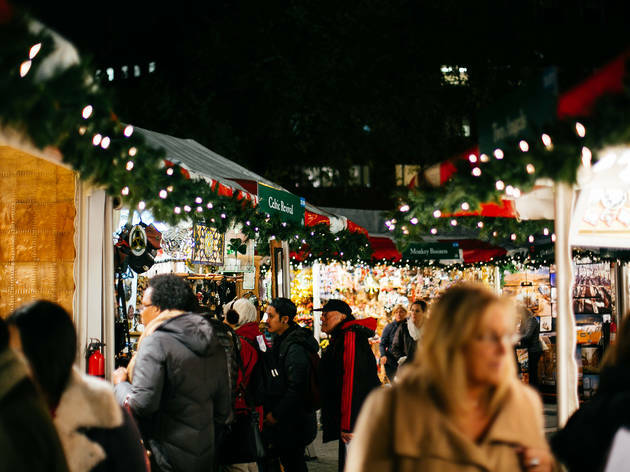 In a city dominated by holiday markets, leave the tastemakers of BUST magazine to curate one of the best craft fairs of the season. Go for the: Cute DIY gifts and custom cocktails. Stay for the: Classes and workshops like "Incense Making 101" and "Meditation Through Movement and Hooping." This retailer’s multiple weekend run at various locations allows any impatient DIYers to grab creative handmade presents from more than 50 talented fashion, beauty and lifestyle crafters for everyone on your list or, hell, yourself. Go for the: Free goody bags of products, coupons and surprises from the vendors and sponsors, which shoppers have scored in the past. Fingers crossed it's the same deal this year! 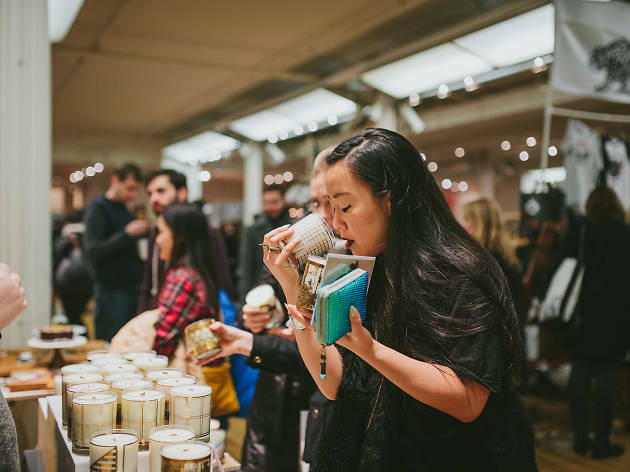 Stay for the: Cocktails that are usually available for purchase during the Chelsea Market fair, and selfie opportunities in the holiday photo booth. Looking for more festive shops? 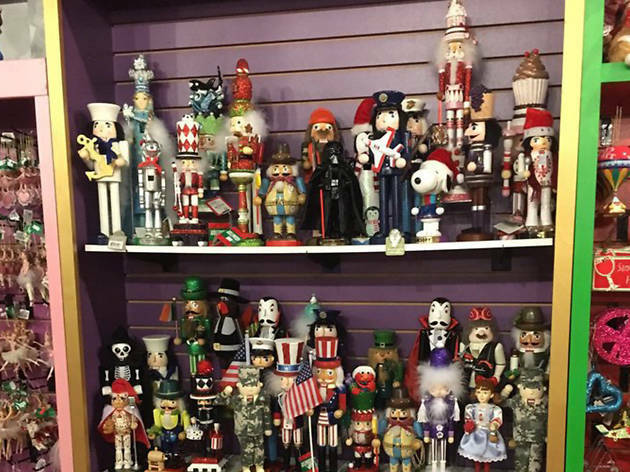 At an ornament shop in NYC, stock up on Christmas supplies! Here are the best decorations destinations in NYC.